While we’re on the subject this month with Nexus 4 sightings and availability, a new report has arrived via my inbox indicating the next third-party retailer to sell the much desired device will be —-Walmart. Our report indicates inventory will arrive sometime in the very near future, though no specific timeframe or pricing info was mentioned. Given Walmart’s penchant for lower than corporate T-Mobile store pricing, we expect at least some savings. All of this is good news of course, but the real question will be availability. It’s fantastic that Walmart, Costco, Wirefly and Best Buy are all starting to sell the Nexus 4, but what good is more retailers if they can’t keep it in stock? Hopefully, these new sellers show Google and LG have leveled out production and will begin to meet demand in a hurry. This might explain why some orders in the last week were said to take 1-2 weeks for shipping and arrived within 48 hours. 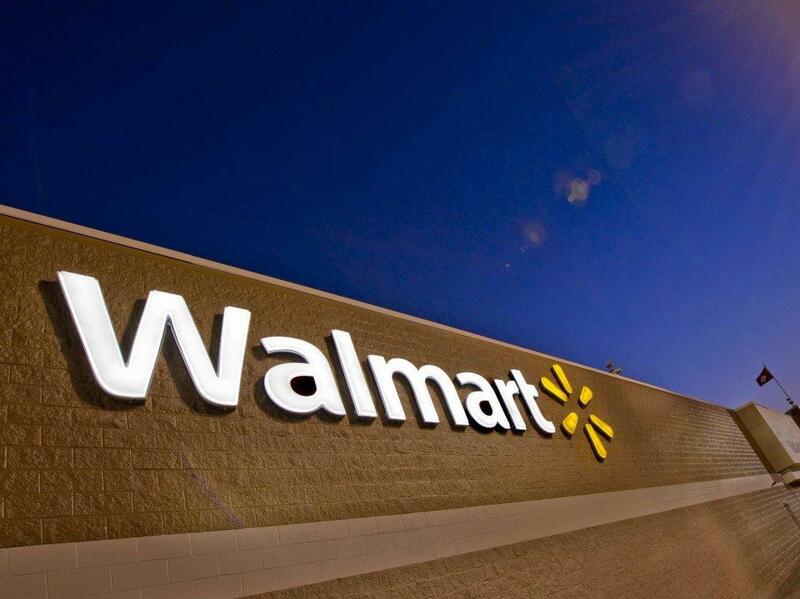 As soon as we hear more about Walmart’s Nexus 4 availability, we’ll bring you the news! This would be on contract, so that price wouldn’t hold up. No retailer will sell it for that low without a contract, that should be pretty obvious. Perhaps the OP is new? What a way to treat new people to this site. The OP does ignore David’s comment which answers to some extent the OP’s question. Not trying to defend Wally but its clear retail stores sell products not to do equipment manufactures a favor but to earn a profit, hence they dictate the retail price to consumers. Like Wally says, this question does get asked to often and unnecessarily, given the answer was in the post he’s replying to. The OP is just not making the connection. The OP’s post had nothing really to do with this article about walmart; however I do not disagree this subject has been beat to death. The issue I took with Wally’s unedited post was the uncalled for obscenities he used when directing the OP. So not cool. Although I am a little late to the comments here I have to ask why you seem to think it would be obvious. All of the comments as to reasons why they have to be sold for more by regular retailers just don’t hold up. They are all the exact same reasons that were stated for why retailers would have to sell the Nexus 7 for more money. Everyone said that google was selling the Nexus 7 for cost or at a loss which is one of the arguments everyone makes and that retailers have to have a markup as google is the the wholeseller selling it at wholesale prices to us. Well the regular retailers sell the Nexus 7 for the same price as the Play store. In fact Sam’s club sells it for $.13 less and I can get it shipped to me for free which makes it a better deal than on the Play store. How is it that the Nexus 4 is any different than the Nexus 7. Perhaps you will claim it has to do with the cell chip in the phone. Well then lets look at the Nexus 7 4G. Granted Sams club sells it for $19 more than the Play store, but that is nothing compared to the huge price increase that is put on the Nexus 4 by TMobile. Google had to of paid more for their initial batch of Nexus 4 phones, but as production has increased dramatically to fill the stores of Walmart, Sams, Costco, etc the costs to produce the phone have gone down just like every other electronic device does. The reduction in cost helps give the resellers a profit margin. Don’t get me wrong,I am a huge fan of TMobile and this is not just what they do. All of the carriers do the same and a lot of it is probably pushed on them by the manufacturers. That is why I am thankful for what google is doing and I am hopeful that when TMobile goes to only Value Plans that it will start to change the pricing of phones. I hate WALMART, Costco, SAMS CLUB they have no business selling phone. Don’t shop thier at all BOYCOTT they places. Why shouldn’t they sell phones? Elaborate. I can’t speak on Walmart or Sams Club, but Costco won’t sell phones without a contract, which aggravates me as an EMP and Monthly 4G customer. I don’t shop at any of these three stores for many other reasons, though. Yeah, I hear you about not selling phones off contract. I’m on a Value Plan, so those stores don’t do me much good. But I’m not going to say that they shouldn’t sell phones there just b/c it does me no good. There are a lot of people who it does benefit, so I’m all for it. I’m not listening to someone who can barely write in English. Theys needs two gets hooked on phonics. This makes no sense, especially in California. Best prices. Hook on phonics worked for me!! I agree with you 100% and let me elaborate. As a rep, customers come into my store asking me what is wrong with this piece of junk? (and it is usually a phone from wal-mart that they got for $1 or something with 2 year contract.) It just makes T-mobile look bad as a whole. especially when I have to explain that those phones are refurbs. Quite frankly, I’m not sure locking phones has ever been necessary. After all, if you’re on contract, you’re already legally obligated to pay for someone’s service for 2 years, so if you decide to swap the SIM card for another carrier, you’d effectively be stuck paying for service you aren’t using while you use someone else’s. From the carrier’s perspective, I should think that getting money from the user when he doesn’t take advantage and add to the network congestion would be a win-win! Pretty soon even Grandma will have a Nexus 4…. Um, pretty sure walmart price matches any online price. I am also positive Florida state law requires them to regardless of product because that is what they advertise. I once got an entire patio set for 1.99 because thats what the tag said. After much arguing the store manager chimed in and told the clerk they had to sell it to me for that price. Point is, they will have no choice but to match googles pricing as long as the product numbers match. Actually walmart does not match online prices. Must be a local store. Meaning Walmart in Seattle won’t match Target’s price in Tampa, but will match Target’s pricing in Seattle stores. They don’t everywhere though. Walmart in Wisconsin, for instance, is not allowed to match any online prices. Sam’s Club in Roseville CA received first shipment of the Nexus 4 today. So it’s definitely happening. My Walmart also got a couple Nexus 4’s in stock. I was quite shocked to see them arrive, along with the gray S3 and the Note 2 (both also the T-Mobile versions). Do they sell it with or without a contract? What’s the price on it? I can confirm that this is true. I think only for select stores though. I’m an associate at Bloomington store in Minnesota. We just received two (yes, only two) units and two galaxy note 2’s finally. Not sure on price yet though.